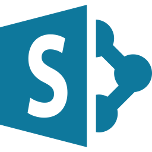 SharePoint offers a secure and powerful online environment for project collaboration and document management within organizations. An integrated package for your business, it can be tailored to your everyday workplace needs, helping to increase team productivity and efficiency. Microsoft SharePoint is an all-integrated application to help your business improve its performance and track your workflow and processes, located under top-level security with plenty of cloud space. Some of the easy applications SharePoint offers include: team and project management, a comprehensive search engine for all stored data, a web publishing platform for intra/extranet, internet sites and document management, and a cloud hosting platform. 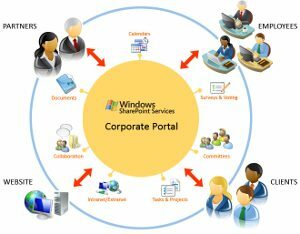 The advantage of SharePoint is that the data interconnects with the way your business works. Your organization structures and processes become more transparent and aligned, and with the right analysis and business intelligence, improvements can be made, tracked and reviewed to optimize workflow and enterprise resource planning (ERP). SafeComs has extensive experience helping businesses across a range of sectors increase their efficiency using SharePoint. Moreover, we are experts at analyzing organization structures and procedures to develop the best information systems to capture and utilize your data to enhance workflow, and ultimately improve your business performance. SharePoint is the most cost-effective way to organize and share documents in your workplace. Increased teamwork and staff productivity through easy collaboration on projects and document management via a practical and systematic library. SharePoint has many features and applications which can be tailored specifically for your business and organization processes, helping you capture the ‘big picture’ alongside analyzing specific and detailed information. Automatic and continual backup of all key documents, securely held online with controlled access. Incorporates well with the full Microsoft Office suite of applications. SafeComs has unique expertise and extensive experience combining business intelligence and integrating it with SharePoint applications. We start by understanding your business, mapping process flow and procedures, analysing best practices with information flow, and then implementing them with information systems. Throughout the process, we are guided by thorough, practical and relevant business intelligence and practices. Rigorous analysis is the key aspect to ensuring that any new information system or application will be the most suitable to improve your workflow and achieve your goals. SafeComs CEO Bernard Colin has over 25 years expertise in designing information systems and mapping them to computer networks, including many aspects of office automation. As part of the Digital Equipment Corporation (DEC) team in Geneva, he conducted numerous workshops and business intelligence analysis for large companies like British Gas, Shell, the French National Railway Network (SNCF), and many multinational organizations. We are the leading IT security and outsourcing firm in the South East Asia region, and have developed our own business application, Peppercan, which helps organizations across project management, customer relations, production and finance. We work closely with and customize all services to maximize the return on IT investment for each of our clients, from SMEs to large companies with complex structures. One of our clients in the hospitality sector had a full application requiring CRM (customer relationship management) and contact management, and we used SharePoint to integrate this with specific portfolio management for each client, including automated reporting and calculation of commissions. This was a significant improvement from manually completing this work, and also increased staff efficiency while ensuring reporting accuracy. This gain was possible due to all data now being located within the single centralised database. We further extended the platform to allow customers to access their own portfolios online, in a completely secure environment, and not only improved the business’ processes but also their clients’ satisfaction. Want to know more about SharePoint?